In connection with the relationship of families, a lot of people feel that this link is being diluted in this globalize society. However, this paper will claim that so far our families are still as close as they used to be. The reasons for that will be stated in the following paragraphs. A new technology advance helps maintain our intimate link. Many technology devices link members among families. Foe example, mobile phones keep us in contact. As I am working far away from my house, I can phone my brothers or mum whenever I think of them. Moreover, internet can communicate our story to anyone in a family. I can see a birthday-ceremonial party of my younger sister’s via Facebook. This globalized technology keeps our families as close as before or even closer. The religion, culture and individual morality keep our relationship strong. In societies, people are taught to love each other especially love our family-line. For instance, there is a TV program that encourages or strengthens family relationship. In addition, our relationships and ethics always assimilate family’s members firmly. For instance, there are a lot of religious events that allow fathers, mothers and their children meet and work together. Lao New Year is one of those which all family members are supposed to gather and enjoy the event. In conclusion, our families are still as close as they used to be regardless the global changes in societies. 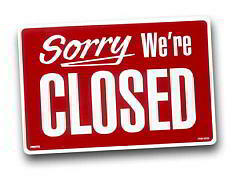 Moreover, this closure will not be damaged easily in the far future as long as we regard our religion and morality. In connection with the relationship of families, a lot of people feel that this link (the relationship) is being diluted in this globalize society. However, this paper will claim that so far our families are still as close as they used to be. The reasons for that will be stated in the following paragraphs. A new technology advance helps us to maintain our intimate link. Many technology devices link members among families. Foe example, mobile phones keep us in contact. As I am working far away from my house, I can phone my brothers or mum mother whenever I think of them. Moreover, internet can communicate our story to anyone in a family. ( i m confused) I can see a birthday-ceremonial party of my younger sister’s via Facebook. This globalized technology keeps our families as close as (u use this phrase twice) before or even closer. The religion, culture and individual morality keep our relationship strong. In societies, people are taught to love each other, especially love our families-line. For instance, there is a TV program that encourages (u cant encourage family relationship) or strengthens family relationship. In addition, our relationships and ethics always assimilate family’s members firmly (i dont think this word is correct to use here). For instance (for example), there are a lot of (plenty of) religious events that allow fathers, mothers and their children meeting and working together. Lao New Year is one of those which all family members are supposed to gather, and enjoy the event. In conclusion, our families are still as close as they used to be, regardless of the global changes in societies. Moreover, this closure (what this means) will not be damaged easily in the far future as long as we regard (respect) our religion and morality. Good lexical resources. But u repeated some words and phrases. Some sentences make me confused, maybe ur sentence is correct, I dont know. U havent give ur questions to me, so I cant eluvate whether ur answer is fully answered. Some grammar mistakes exist in ur essay as well. Welcome back. You got your last essay in just in time! Thanks to DavidLee for his comments. I’ve included some of his suggestions below. Well done on reaching 259 words in (almost) the right time! Did that 50 minutes include your planning? Well done also on your topic sentences. They are clear and simple. You have a sentence about television in Paragraph Three that I think should move to Paragraph Two (the paragraph about technology). As well as moving it, I would like to see another sentence supporting the idea or giving an example - how does the TV program help? Make sure you support your ideas. More ideas would be good. Brainstorm like crazy before you start to write. Have a look at an example of what I mean here. You should cover the paper with related words, opposites, similar words; you should change verbs from the question into nouns, nouns into adjectives; adjectives into adverbs. Don't start to write until you have SIX ideas. I think you have five, and I think one is in the wrong place (perhaps it isn't, but it needs more support). In connection with the relationship of families, a lot of people feel that this link is being diluted in this globalize society. Many people worry that relationships in families are being diluted in our globalized modern society. Or why not just use an easy Past/Present opening? In many rural areas in Laos, families live as they have for centuries, with grandparents, grandchildren, cousins and relatives living and working together. However, life is changing, and in the cities, more people live alone or far away from their families. You can read some examples of Introductions here. The reasons for that will be stated in the following paragraphs. I will show that technology and our culture are helping to maintain the bond between family members. This sentence helps the reader because it shows the order in which you are going to present your paragraphs. It helps you to get the essay straight in your mind and keeps you on topic. It shows the examiner that you really understand the topic and that you will probably have a ‘clear central topic ‘ in each paragraph. regardless the global changes in societies. → regardless of the global changes in societies. In societies, people are taught to love each other especially love our family-line. → In our society [you could specify here], we are taught to love each other, especially our family members. Lao New Year is one of those which all family members are supposed to gather and enjoy the event. → Lao New Year is a time when all family members are supposed to gather and celebrate. OR Lao New Year is an important celebration for family members. New technology helps maintain our intimate links. New technology helps to maintain our intimate links. New technology helps us to maintain our intimate links. Overall, some good topic sentences, and some good ideas (more examples and ideas are always good!). Aim for a simple opening. I've learnt a lot from your suggestions and corrections.